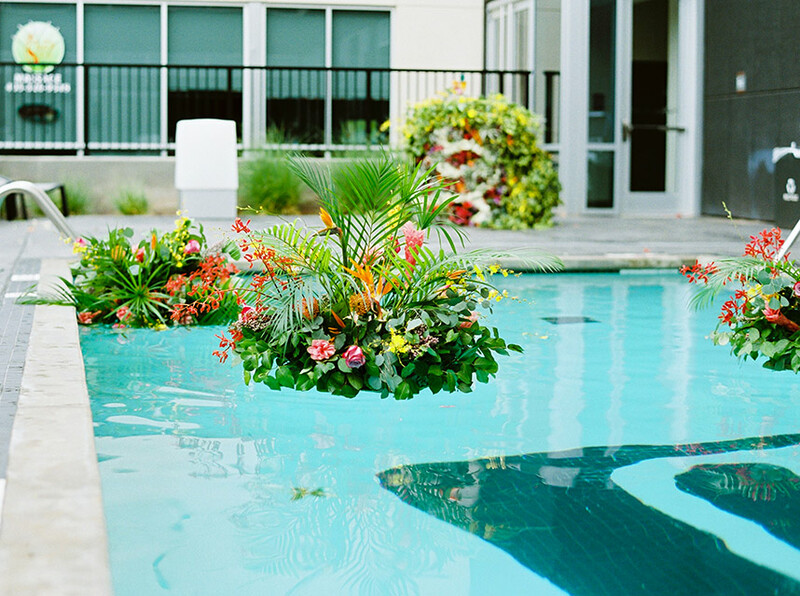 We’ve got another fabulously adorned locale in bloom to share with all our lovely followers! 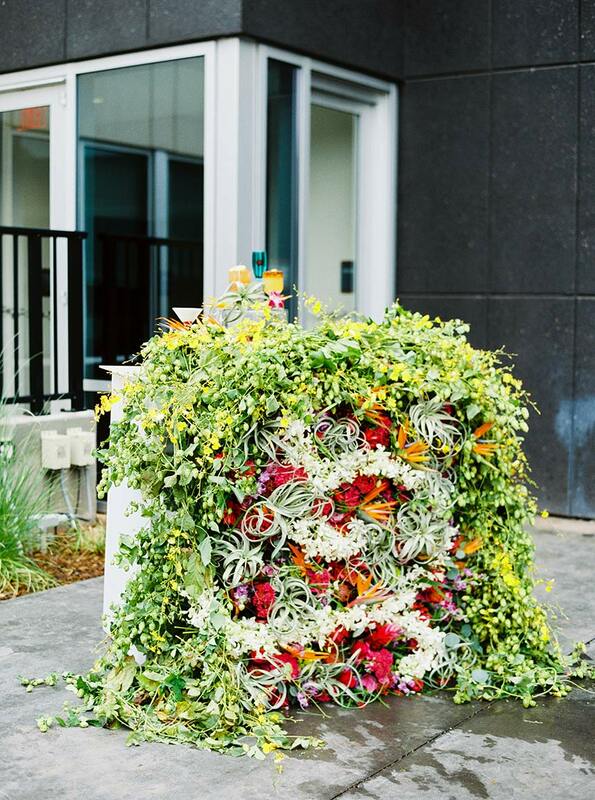 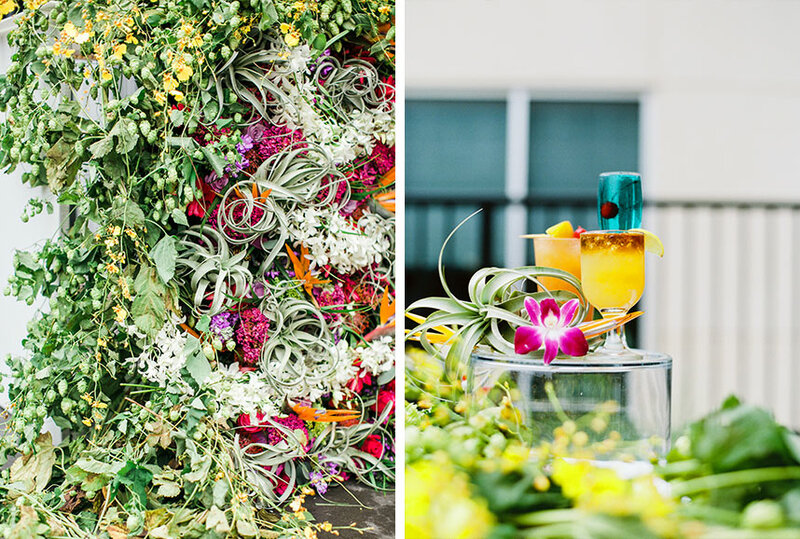 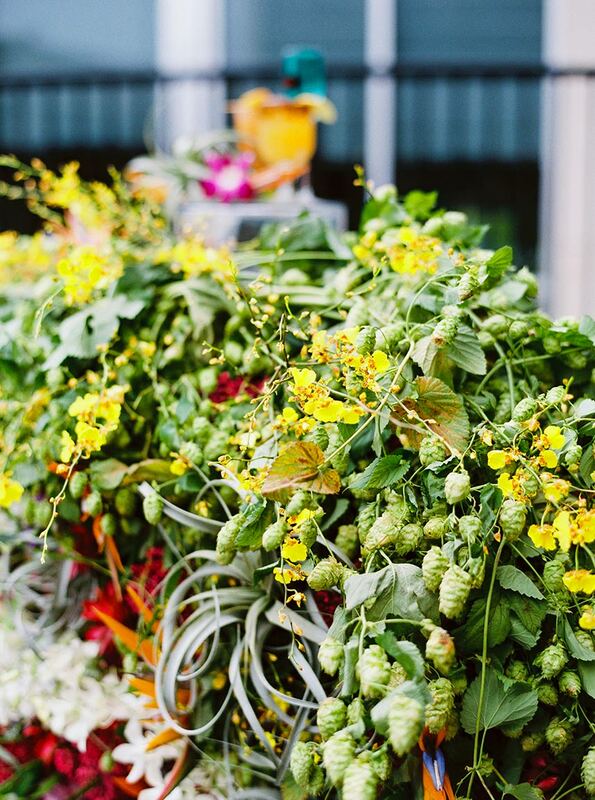 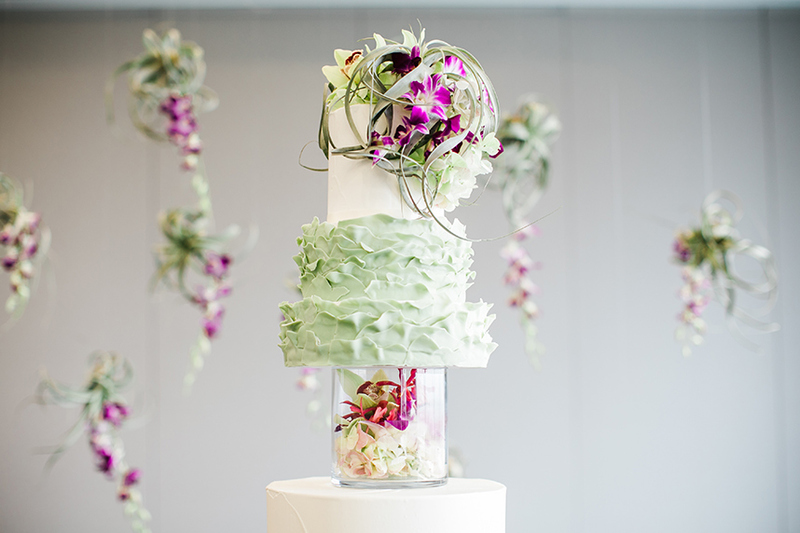 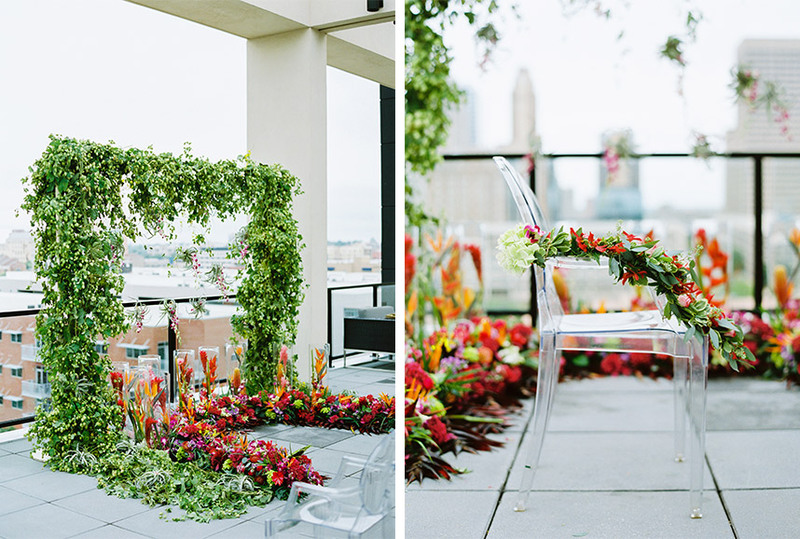 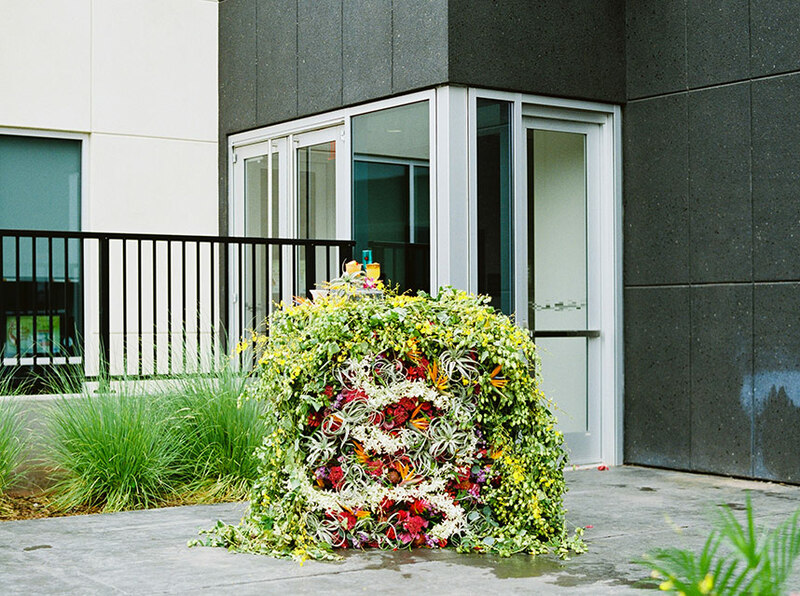 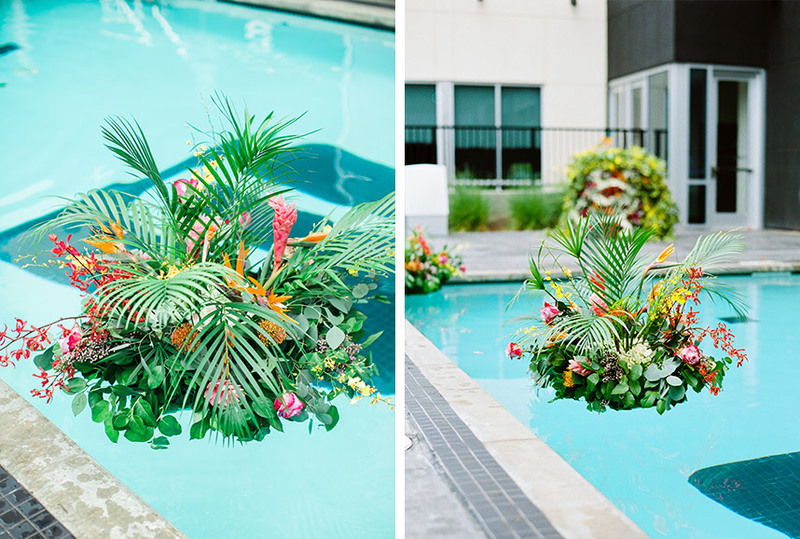 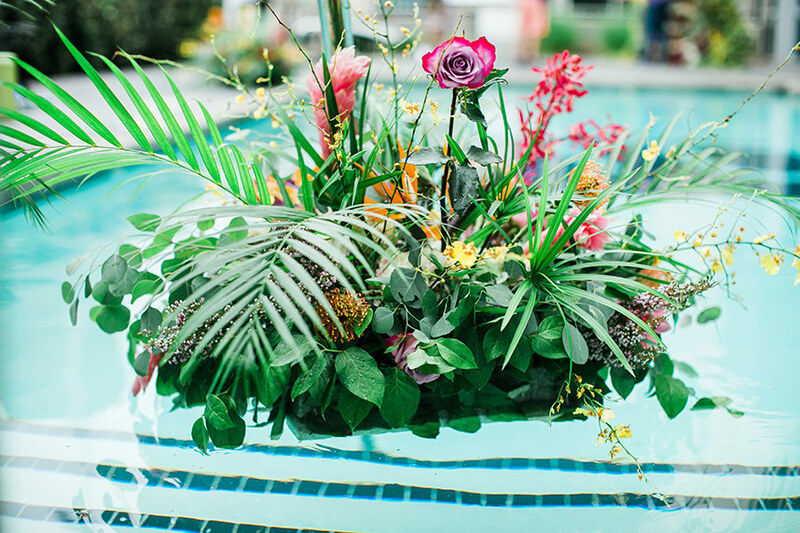 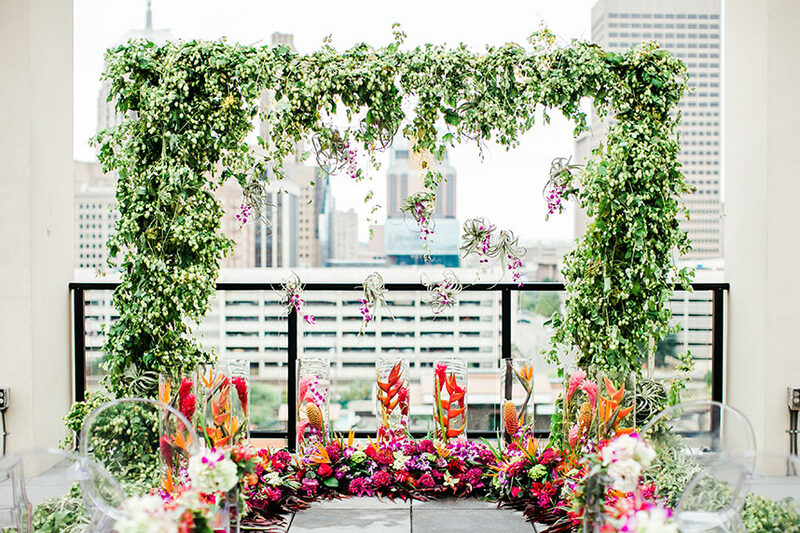 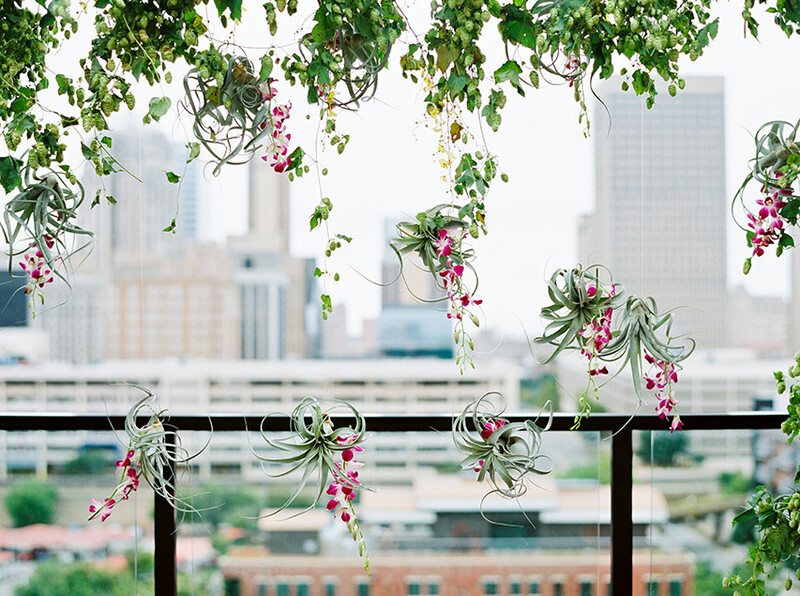 Take a peek at this tropical wedding scene Tony Foss Flowers created at Aloft Oklahoma City Downtown-Bricktown. 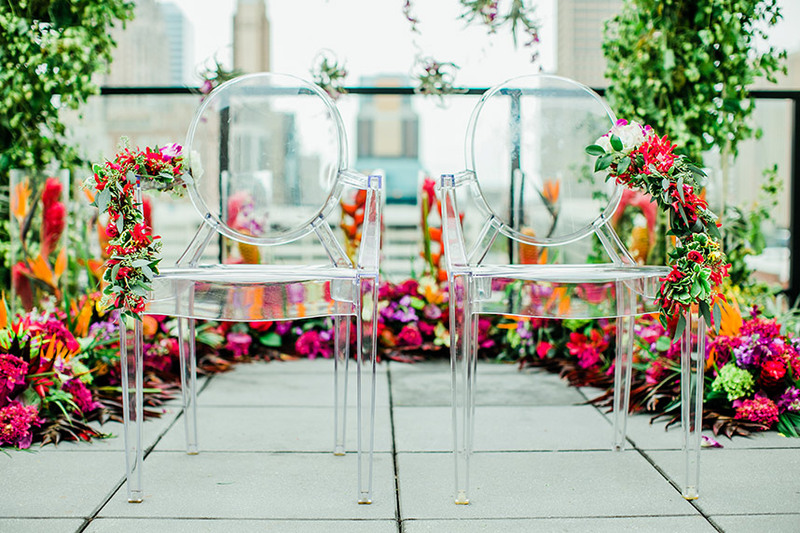 Aloft Hotel offers a modern event space complete with ballrooms overlooking the city skyline, large outdoor patio space and poolside party area. 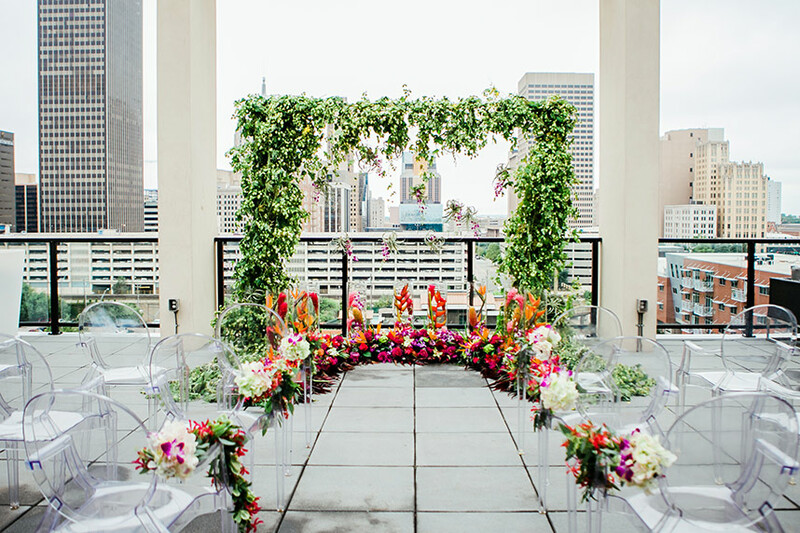 The rooftop at Aloft Hotel is a glorious location for the I do’s, then enjoy a cocktail hour after the nuptials poolside. 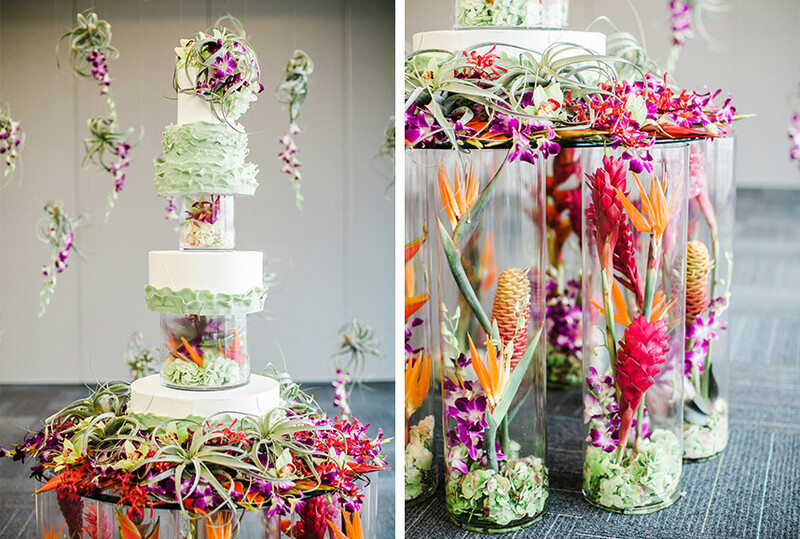 Mood Party Rentals helped Tony Foss set the scene with chairs and bar, and Mishelle Handy Cakes crafted a show-stopping cake – the perfect focal point for a modern wedding reception. 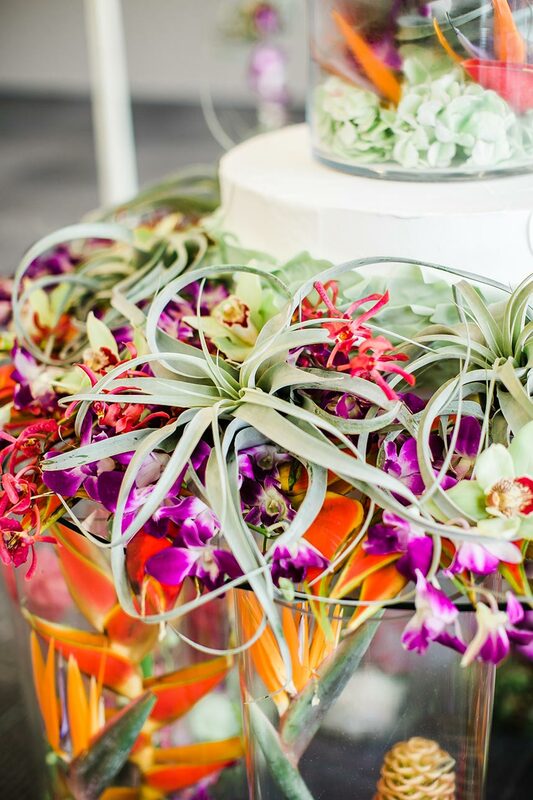 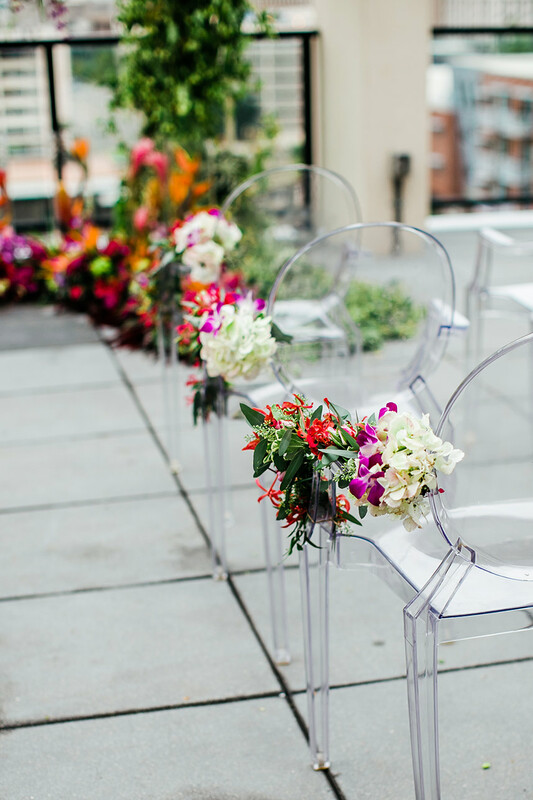 Get ready to pin your favorite colorful details, all captured by Deisy Photography!